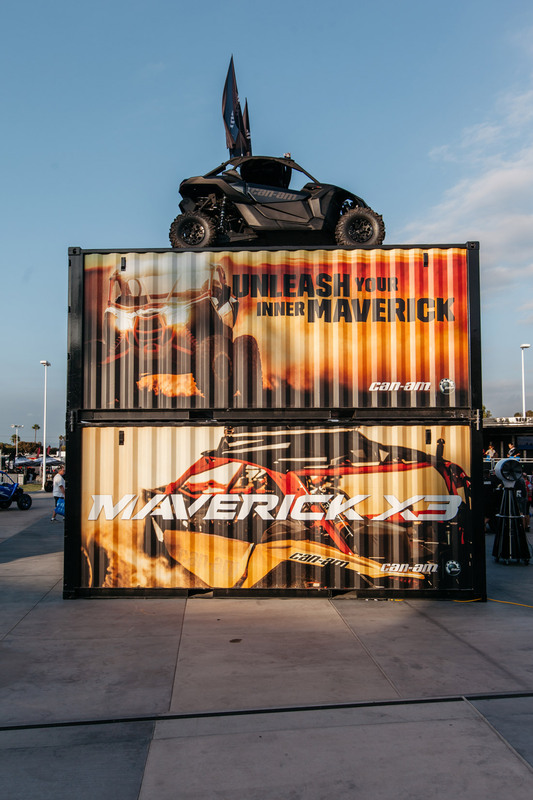 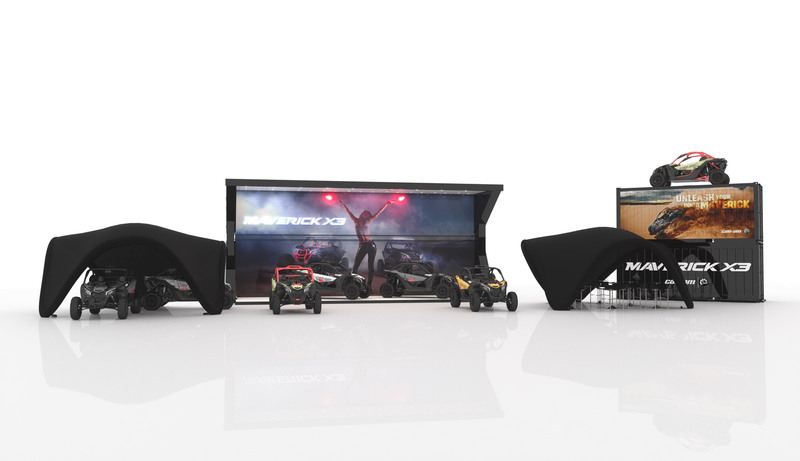 Recreational vehicle manufacturer Bombardier Recreational Products (BRP) took its popular line of UTVs to the Sand Sports Super Show in Costa Mesa, California in September for the inaugural event of its North American tour. 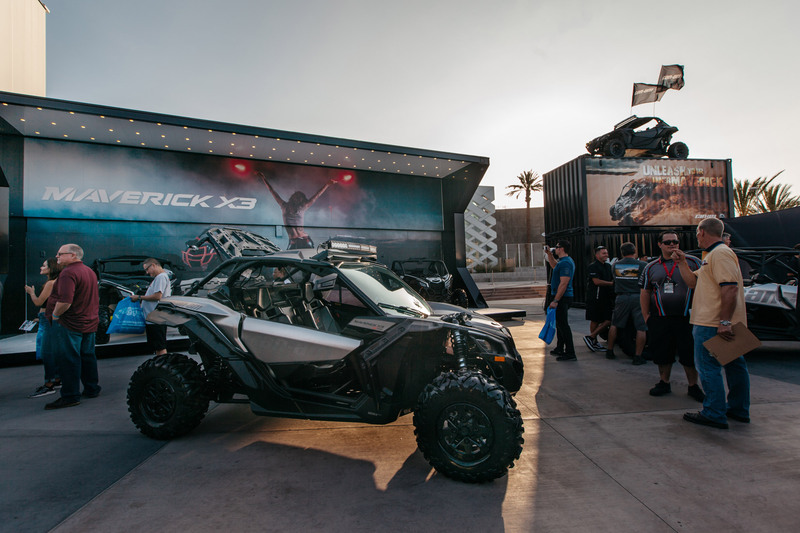 In a world where grown-up toys rule, the company had its new Loki Split 40 in tow. 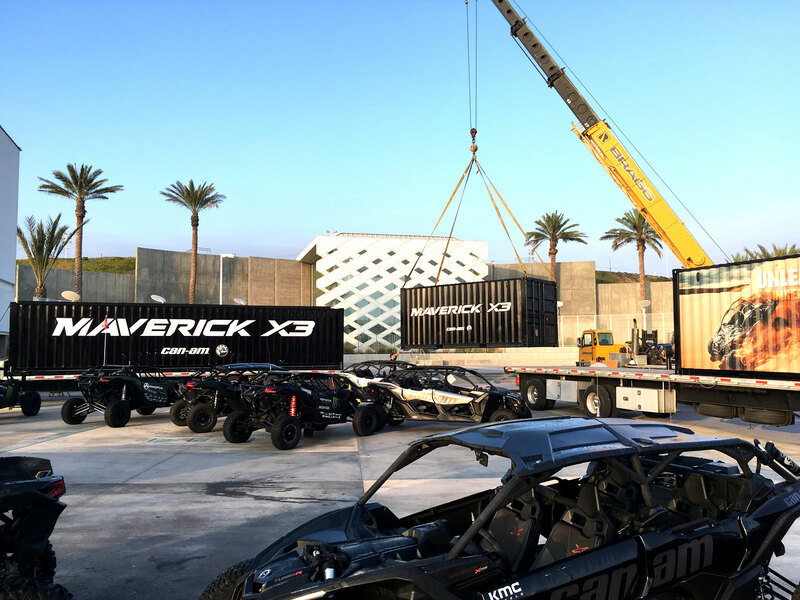 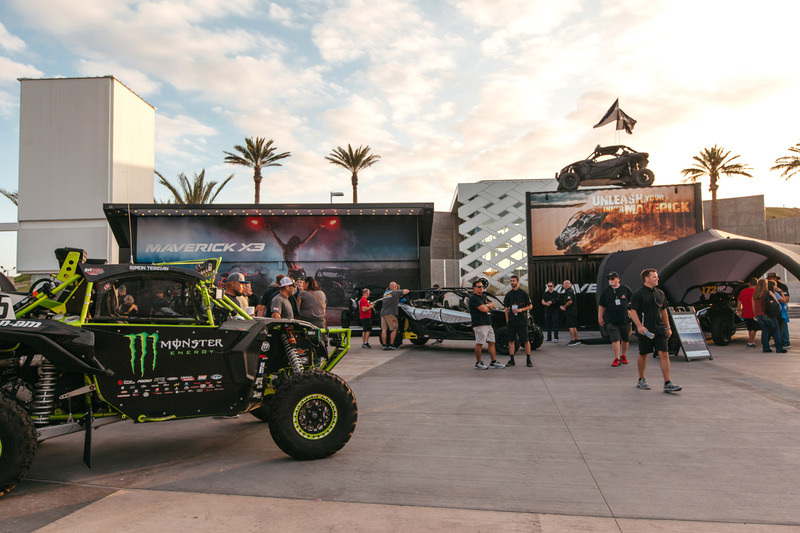 Although the Split 20 unit BRP had relied on in the past had served admirably, the company decided it required double the usable space to accommodate larger crowds at bigger events like the Sand Sports Super Show. 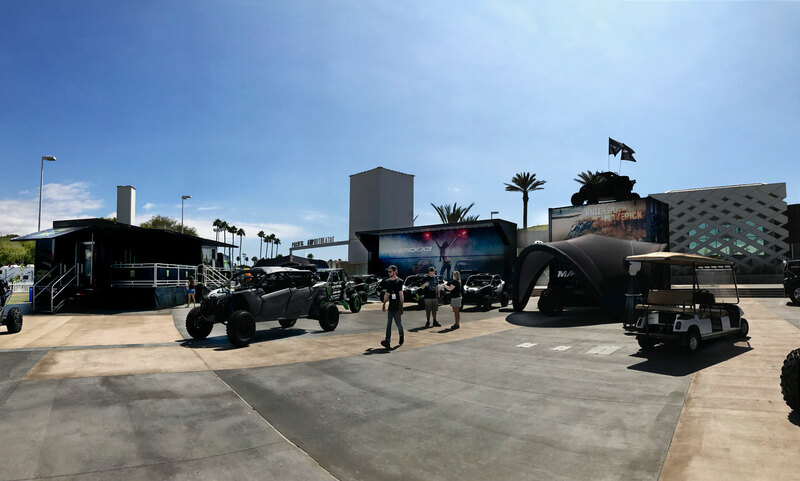 Clearly it is a show that BRP, as a major player in the UTV market, needs to rock every year, and Loki’s innovative new Split 40 unit was definitely up to the task. 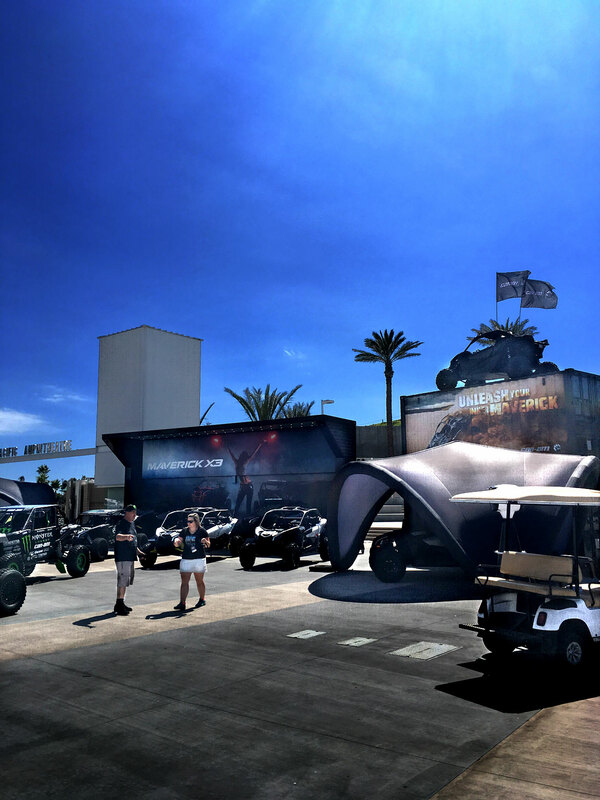 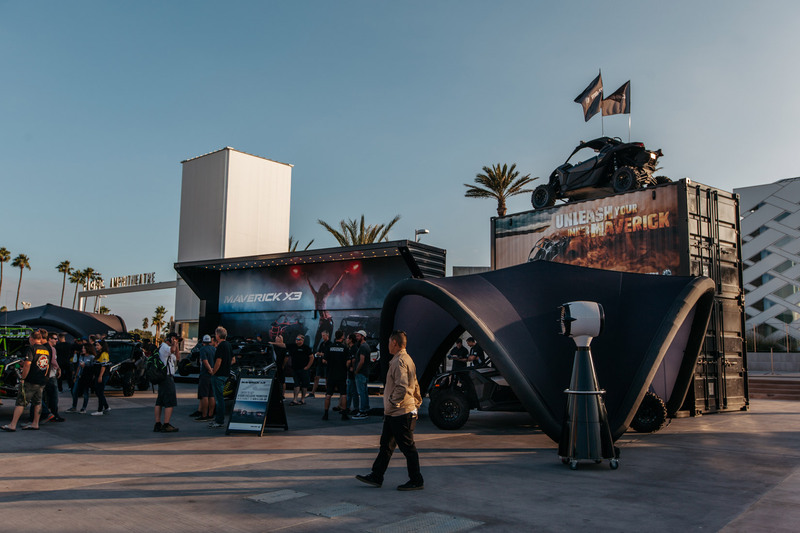 BRP’s mobile unit was the largest and most impressive non-permanent set-up at the show. 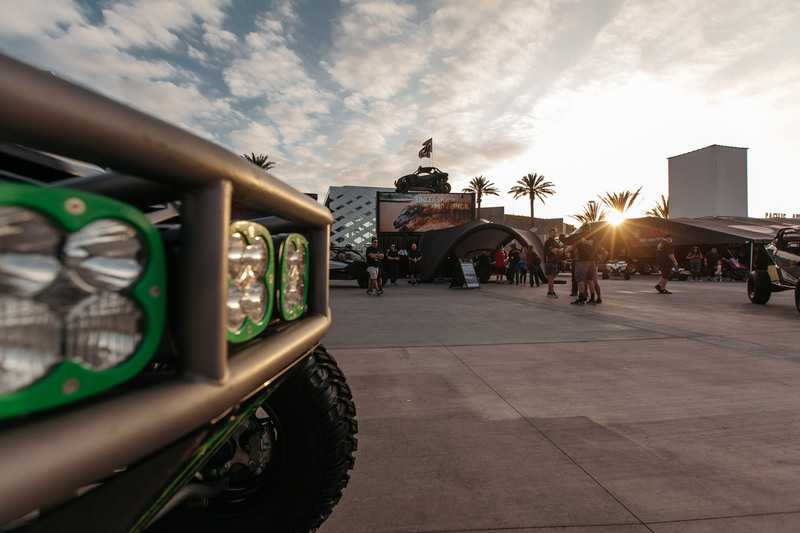 The quality of the materials and manufacture shows in every detail. 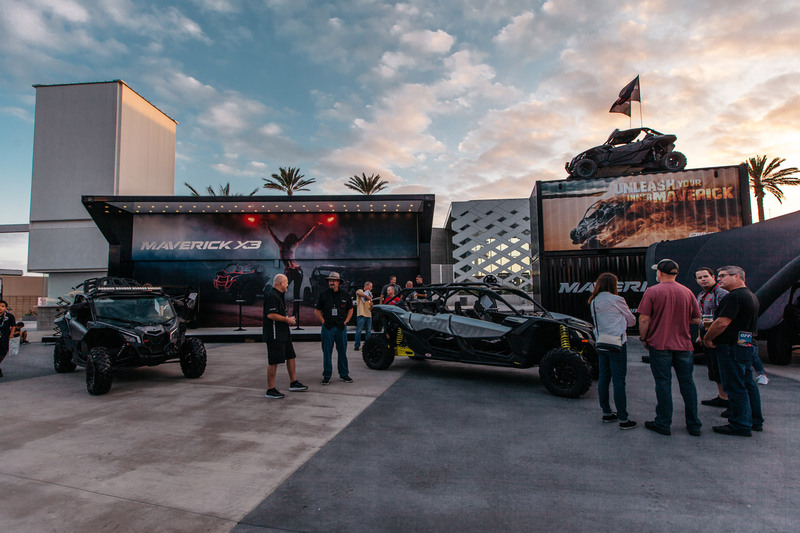 The purpose-built structure attracted huge crowds and helped create a sense of excitement around the brand and its products. 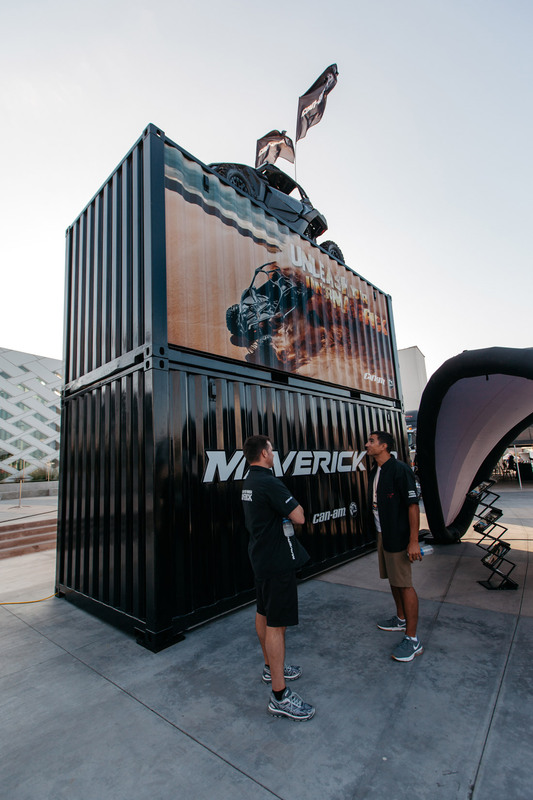 With its ingenious diagonal split hinge opening, the unit boasts an arresting 16 feet of vertical, usable display height that gives rise to a vast horizontal canvas that still closes down to a relatively compact and maneuverable 8’ X 40’. 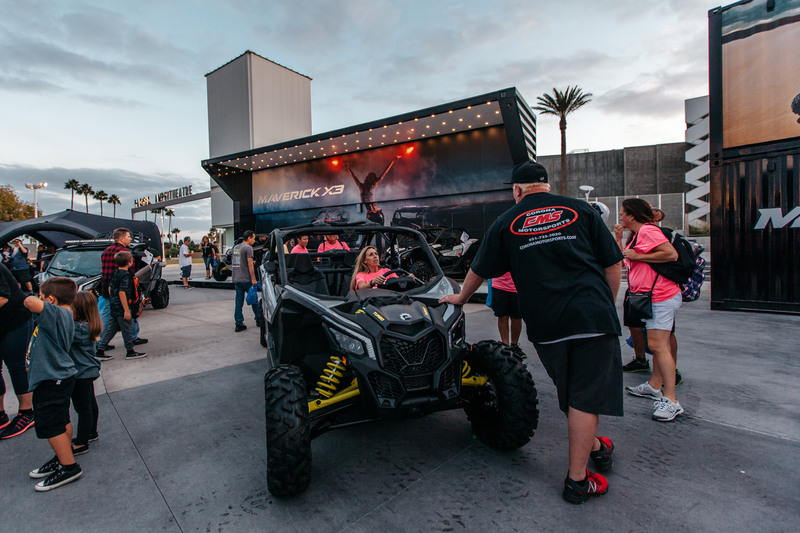 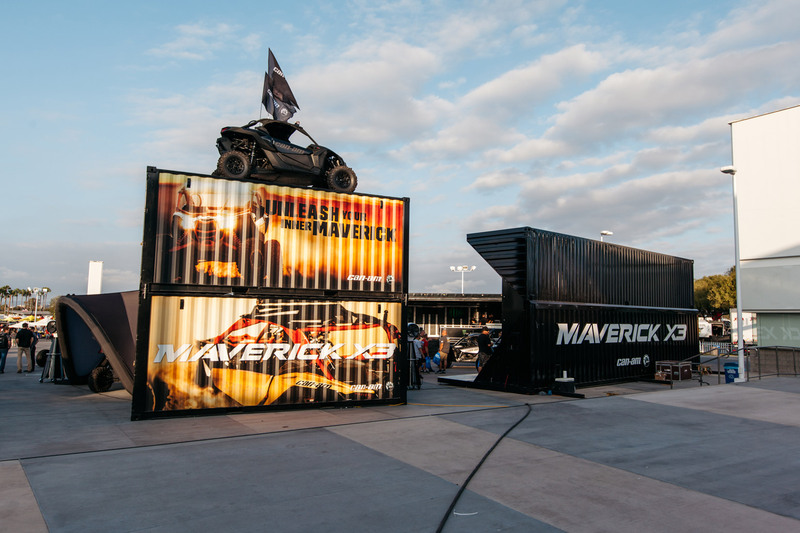 The unit is spacious enough to accommodate several synergistic brands that add to the overall BRP experience including Monster energy drinks, BAJA UTV lighting and Can-Am’s audio products supplier Rugged Radio. 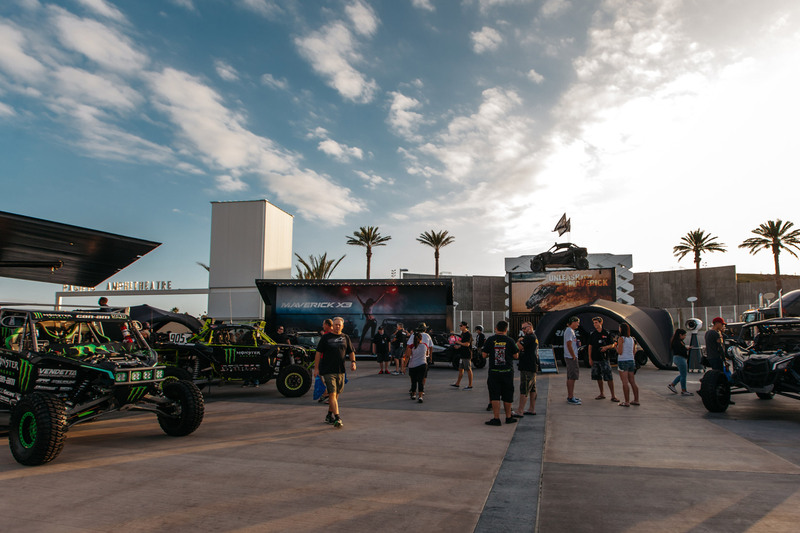 And there was still room left over for a custom T-shirt printing shop.